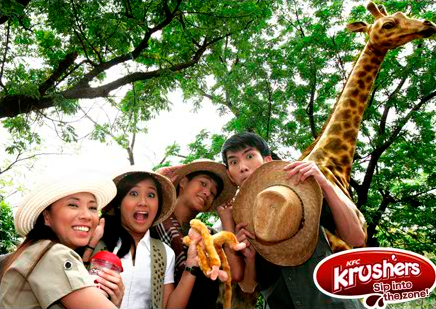 Who says you need to slave away to save money for a trip to the destination of your dreams? 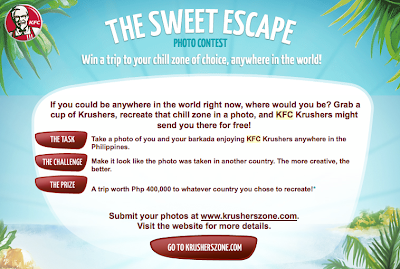 KFC is giving Php400,000 for the lucky winner to spend on a trip to a place you've always wanted to see with family or friends! For more details on this contest, click --> here! 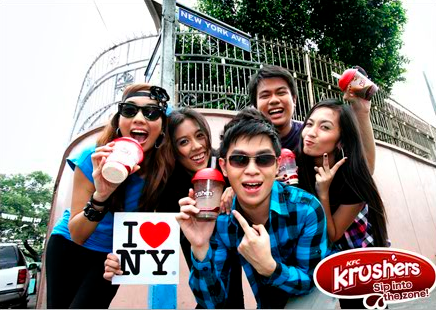 In the meantime, enjoy KFC Krushers while thinking of how you're going to stage your entry! While you're at it, double check to see if your passport is still valid so you can get away, right away! Good luck!